Newcastle M.M.A. 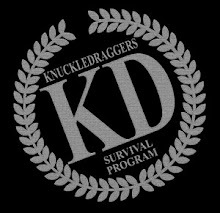 : O Knuckledraggers vai para Brasil! 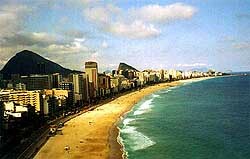 We're off to Brazil on Monday Feb 12th. The estimated cost for 2 weeks is £1000, for flights, training and accomodation. Whatever you want to spend on top of that depends on how much stamina you have left for Putas and white Rum after you've had your head squeezed off all day in collar chokes. We're booking up next week, don't miss out guys. Whatever you have to do to talk your wives, girlfriends or mothers into letting you go - do it or you'll regret it. We'll be training with Crezio and heading on down to Rio to BTT. Pedro 'Napao' Galvao is going to be our tour guide to the nightlife, leave your socks at home or be prepared to have them rocked right off - I guarantee it. If 5 guys go we can stay here for about £200 during Carnivale. If we go later than plan and miss Carnivale it'll be half that. I can also get somewhere cheaper, but it won't be on the beachfront, or quite as nice.